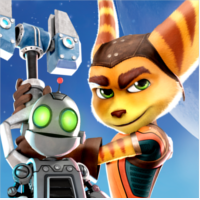 2016 is finally here, and that means Ratchet and Clank will soon blast into theaters and PS4s around the world! There has been movie trailers for Greece, Croatia, and most recently, Germany. Germany's trailer was also accompanied by 6 new Ratchet and Clank screenshots from the movie! This first image shows The Galactic Rangers posing with their blasters, and Clank giving off a smug expression. Interestingly enough, Cora and Brax are in the same pose from the Hungarian movie poster. Everyone gets a combuster–apparently. 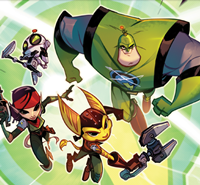 Captain Qwark and his Cronk-like Rangers head into battle on Aleero city! In this image, we get to see Clank learning that he's a defect. A wireframe model of him is shown, which includes the jetboots from the movie trailer. There is also a warbot wireframe model on the screen. Chairman Alanzo Drek is plotting his next move, while Qwark is behind him. It will prove interesting whether or not Qwark has allied himself with Drek, or is actual a hero this time. There are dozens of planets inside Drek's headquarters, one of which looks like Oxron, the blargian homeworld. This image shows a pile of Blarg stuffed into an escape pod, by the look of things. It's amazing how little Drek resembles them. In the last image, Cora is holding a robot minion upside-down, probably for interrogation. 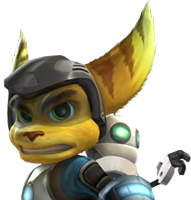 Ratchet, Clank, Qwark, and Brax watch the fun, but it seems that Brax may be injured. There are 5 other images that aren't new, but are in high-def. 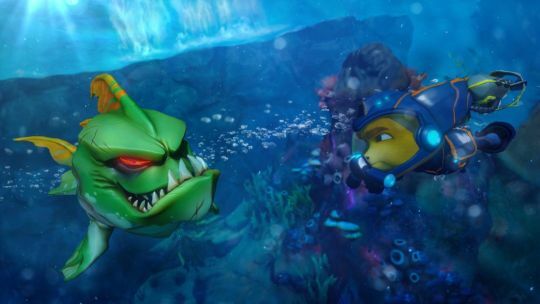 There is also a new PS4 screenshot of Ratchet swimming under water to avoid a Sharkagator on Pokitaru. Insomniac Games will be at PAX South in San Antonio, TX, possibly to show off the Ps4 RaC game. Want to see the full beta of Ratchet and Clank 1? Head over to R C Lombax's channel, and tell him Ratchet Galaxy sent you! One more news before we hit 100! when will be the next events ? I just need a clip of Victor saying something and clip of Clank laughing and I'll be satisfied until the movie's release. Yeah, it doesn't look like Grim or any of the Galactic rangers have a big role in the movie. I'd also love more Nefarious!